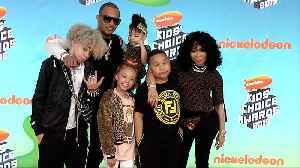 It’s been a crazy couple of days for Operation Varsity Blues updates, with Lori Loughin’s daughter blaming her parents “for the downfall of her career”. 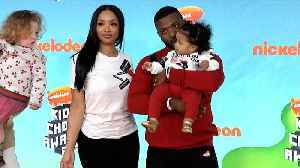 The scandal, in which Loughlin and..
http://www.maximotv.com || Broll footage: Princess Love Norwood and Ray J on the orange carpet at the Kids' Choice Awards held at the USC’s Galen Center in Los Angeles, California USA on March 23,..
http://www.maximotv.com || Broll footage: Serayah McNeill on the orange carpet at the Kids' Choice Awards held at the USC’s Galen Center in Los Angeles, California USA on March 23, 2019 || "This..
http://www.maximotv.com || Broll footage: T.I. 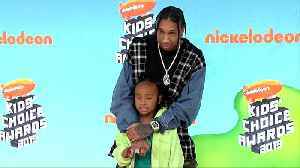 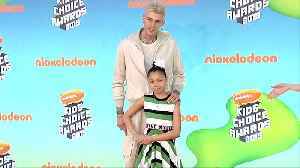 & Tiny on the orange carpet at the Kids' Choice Awards held at the USC’s Galen Center in Los Angeles, California USA on March 23, 2019 || "This video is..
http://www.maximotv.com || Broll footage: Tyga on the orange carpet at the Kids' Choice Awards held at the USC’s Galen Center in Los Angeles, California USA on March 23, 2019 || "This video is..